HGH Fragment 176-191 Peptide Magnus Pharmaceuticals mimics the natural fat-depleting effect of HGH. Without negative effects on blood glucose or organ growth. As is the case with conventional HGH. 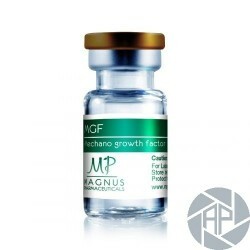 The HGH Fragment 176-191 Peptide Magnus Pharmaceuticals stimulates the lipolysis (degradation / destruction of fetal cells), on the other hand, it inhibits lipogenesis (formation of fat deposits). 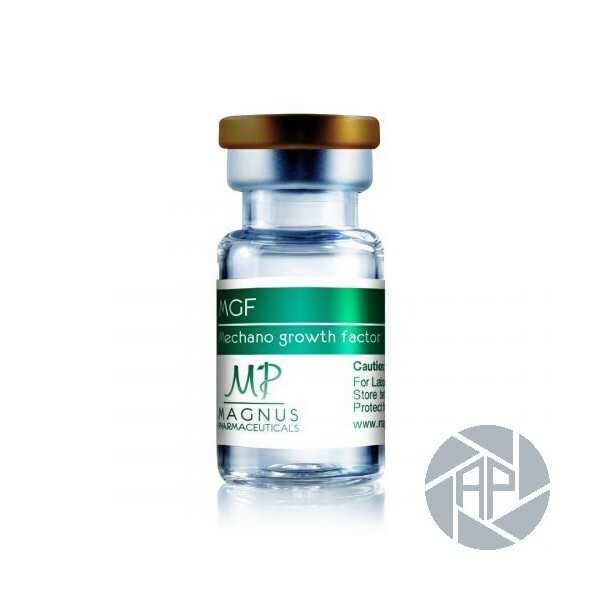 HGH Fragment 176-191 Peptide Magnus Pharmaceuticals is popular and known as a real alternative to conventional HGH. Since it is supposed to act several times more strongly and on the other side to have even fewer side effects, the peptide is HGH fragment 176-191, mostly written HGH fragment 176-191. It is specifically used for fat burning with simultaneous muscle mass build-up. A very interesting aspect for the bodybuilder of the HGH Fragment 176-191 Peptide Magnus Pharmaceuticals, which clearly distinguishes the peptide from all anabolic steroids. HGH Fragment acts mitogene and cell-dividing. With these properties, the peptide fragment results in a marked increase in muscle mass, which becomes visible in a relatively short application time. While only limited muscle mass can be achieved with anabolic steroids, a division of the muscle cell is achieved using the HGH Fragment 176-191 Peptide Magnus Pharmaceuticals. There are, in a simplified way, two new, still thin muscle fibers, each of which can be rebuilt separately. So the athlete instead of a thick muscle fiber, two thick muscle fibers. This means new muscle mass is created! The massive results when combining HGH Fragment with anabolic steroids (testosterone) is thus explained! The newly developed muscle fibers are enlarged by testosterone or other anabolic steroids (methandienone, stanozolol, trenbolone enanthate, oxandrolone, oxymetholone, etc.)! The effect described by us can not reach the HGH Fragment 176-191 Peptide Magnus Pharmaceuticals alone. If you use HGH fragment for muscle building and want these extreme results, you must also use anabolic steroids. In order to achieve an optimal basis for the effect of HGH fragment, best injectable testosterone testosterone enanthate (testosterone cypionate, Sustanon 250, testosterone propionate) should be used. In principle, the more HGH Fragment 176-191 Peptide Magnus Pharmaceuticals is used, the higher the amount of active substance in the testosterone. The known average dose of HGH Fragment 176-191 Peptide Magnus Pharmaceuticals is 2-6 IU or (500-1000 mcg) per day. Which is divided into two or three cans. In the morning before breakfast. After workout and in the evening before going to sleep. Studies show that the use of HGH Fragment 176-191 Peptide Magnus Pharmaceuticals in 30 days causes a substantial reduction in body fat. HGH Fragment 176-191 Peptide Magnus Pharmaceuticalss at a dose of 400 mcg before sleeping. HGH Fragment 176-191 Peptide Magnus Pharmaceuticals is supplied as a freeze-dried powder in the glass vial. This does not have to be cooled yet. Add to your HGH Fragment 176-191 Peptide Magnus Pharmaceuticals with 5mg of active ingredient 2ml parenteral water in the vial. Now you have 2ml with 5,000mcg of active ingredient. 1ml with 2.500mcg of active substance = 0.1ml with 250mg of active substance. The finished peptide is injected with insulin injections. The now ready HGH Fragment 176-191 Peptide Magnus Pharmaceuticals active ingredient (liquid) can now be stored in the refrigerator for weeks as described on the packaging. In the context of the production of dry matter, simply combine HGH Fragment 176-191 Peptide Magnus Pharmaceuticals with PEG-MGF, GHRP-2 or GHRP-6. For the construction of dry matter, HGH Fragment 176-191 Peptide Magnus Pharmaceuticals is best combined with CJC-1295 or CJC-1295 DAC, IGF1-LR 3 or Sermorelin. To increase endurance and energy levels, combine HGH Fragment 176-191 Peptide Magnus Pharmaceuticals with the peptide thymosin beta 4 (TB500). To achieve an anti-aging effect, simply combine HGH Fragment 176-191 Peptide Magnus Pharmaceuticals with Ipamorelin. Athletes combine this peptide with testosterone enanthate (testosterone cypionate, sustanon 250, testosterone propionate) or Human Growth Hormone. In most studies, no side effects have been reported with long-term effects within the limits of average rational doses. We hope to have given you all the information about the topics HGH Fragment 176-191 Peptide Magnus Pharmaceuticals. Ingestion, effect, side effects, dosage, mixing of peptides. Peptide cure, long-term application, the right application. To purchase and order the Peptide delivered.